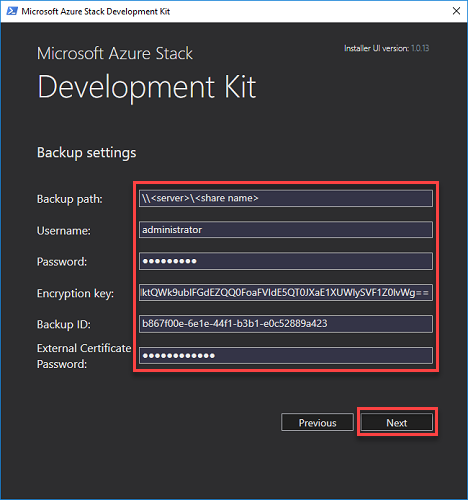 After deploying Azure Stack and provisioning user resources such as offers, plans, quotas, and subscriptions, you should enable Azure Stack infrastructure backup. Scheduling and running regular infrastructure backups will ensure that infrastructure management data is not lost if there is a catastrophic hardware or service failure. We recommended that you run an on-demand backup before beginning this procedure to ensure you have a copy of the latest infrastructure data available. Make sure to capture the backup ID after the backup successfully completes. This ID will be required during cloud recovery. Azure Stack infrastructure backups contain important data about your cloud that can be restored during redeployment of Azure Stack. You can use the ASDK to validate these backups without impacting your production cloud. Validate infrastructure backups from an integrated solution. Short lived validation that the data in the backup is valid. Learn the end-to-end recovery workflow. Use ASDK to validate the entire backup and restore experience. ASDK build to build backup and restore. Restore backup data from a previous version of the ASDK to a newer version. Infrastructure backups from your integrated systems deployment can be validated by performing a cloud recovery deployment of the ASDK. In this type of deployment, specific service data is restored from backup after the ASDK is installed on the host computer. Backup share path The UNC file share path of the latest Azure Stack backup that will be used to recover Azure Stack infrastructure information. This local share will be created during the cloud recovery deployment process. Backup ID to restore The backup ID, in the alphanumeric form of "xxxxxxxx-xxxx-xxxx-xxxx-xxxxxxxxxxxx", that identifies the backup to be restored during cloud recovery. 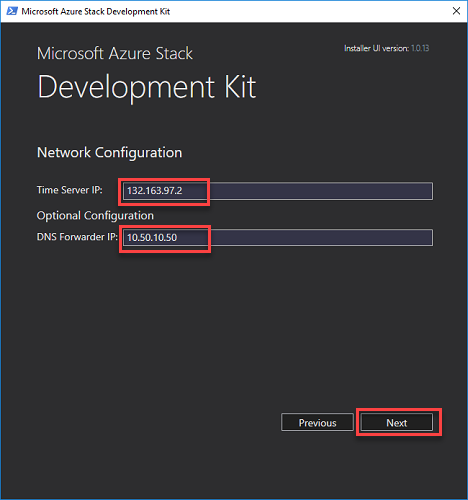 Time server IP A valid time server IP, such as 132.163.97.2, is required for Azure Stack deployment. 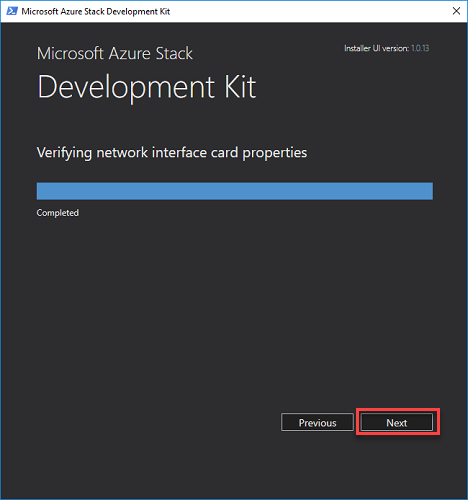 External certificate password The password for the external certificate used by Azure Stack. The CA backup contains external certificates that need to be restored with this password. Backup encryption key Required if you have upgraded to Azure Stack version 1901 or later and backup settings is still configured in with an encryption key. Encryption key is deprecated starting in 1901. The installer will support encryption key in backwards compatibility mode for at least 3 releases. Once you update backup settings to use a certificate, refer to the next table for required information. Decryption certification password Optional. Required only if the backup is encrypted using a certificate. The password is for the self-signed certificate's (.pfx) that contains the private key necessary to decrypt backup data. Backup encryption key Optional. Required if you have upgraded to Azure Stack version 1901 or later and backup settings is still configured in with an encryption key. The installer will support encryption key in backwards compatibility mode for at least 3 releases. Once you update backup settings to use a certificate, you must provide the password for the decryption certificate. As in a normal ASDK deployment, the ASDK host system environment must be prepared for installation. When the development kit host computer has been prepared, it will boot from the CloudBuilder.vhdx virtual machine hard drive to begin ASDK deployment. 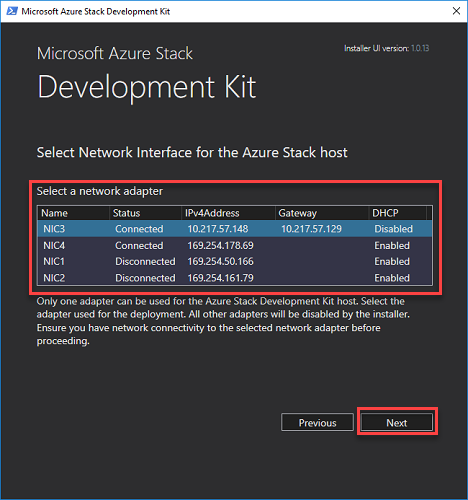 On the ASDK host computer, download a new cloudbuilder.vhdx corresponding to the same version of Azure Stack that was backed up, and follow the instructions for preparing the ASDK host computer. $shares = New-Item -Path "c:\" -Name "Shares" -ItemType "directory"
$azsbackupshare = New-Item -Path $shares.FullName -Name "AzSBackups" -ItemType "directory"
New-SmbShare -Path $azsbackupshare.FullName -FullAccess ($env:computername + "\Administrator")  -Name "AzSBackups"
Next, copy your latest Azure Stack backup files to the newly created share. The folder structure within the share should be: \\<ComputerName>\AzSBackups\MASBackup\<BackupID>\. Finally, copy the decryption certificate (.pfx) to the certificate directory: C:\CloudDeployment\Setup\Certificates\ and rename the file to BackupDecryptionCert.pfx. The current installer UI only supports encryption key. You can only validate backups from systems that continue to use encryption key. If the backup was encrypted on an integrated system or ASDK using certificate, you must use the PowerShell installer (InstallAzureStackPOC.ps1). The PowerShell installer (InstallAzureStackPOC.ps1) supports encryption key or certificate. ASDK installation supports exactly one network interface card (NIC) for networking. If you have multiple NICs, make sure that only one is enabled (and all others are disabled) before running the deployment script. The steps in this section show you how to deploy the ASDK using a graphical user interface (GUI) provided by downloading and running the asdk-installer.ps1 PowerShell script. 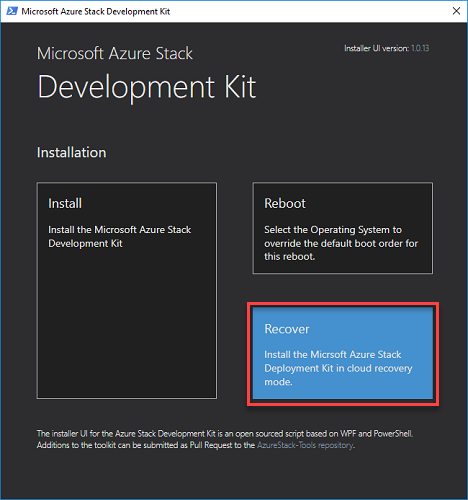 The installer user interface for the Azure Stack Development Kit is an open-sourced script based on WCF and PowerShell. The current installer UI only supports encryption key. After the host computer successfully boots into the CloudBuilder.vhdx image, sign in using the administrator credentials specified when you prepared the development kit host computer for ASDK installation. This should be the same as the development kit host local administrator credentials. Open an elevated PowerShell console and run the <drive letter>\AzureStack_Installer\asdk-installer.ps1 PowerShell script. The script might now be on a different drive than C:\ in the CloudBuilder.vhdx image. Click Recover. 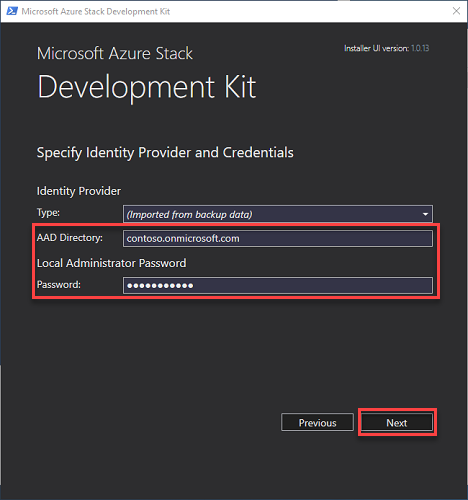 Enter your Azure AD directory information (optional) and the local administrator password for the ASDK host computer on the identity provider and credentials page. Click Next. Select the network adapter to be used by the ASDK host computer and click Next. All other network interfaces will be disabled during ASDK installation. On the Network Configuration page, provide valid time server and DNS forwarder IP addresses. Click Next. When network interface card properties have been verified, click Next. Review the deployment script to be used for deploying the ASDK on the Summary page. Click Deploy to begin deployment. Use the InstallAzureStackPOC.ps1 script to initiate cloud recovery with encryption key. $adminpass = Read-Host -AsSecureString -Prompt "Local Administrator password"
$certPass = Read-Host -AsSecureString -Prompt "Password for the external certificate"
$backupstorecredential = Read-Host -AsSecureString -Prompt "Credential for backup share"
$key = Read-Host -AsSecureString -Prompt "Your backup encryption key"
Use the InstallAzureStackPOC.ps1 script to initiate cloud recovery with decryption certificate. 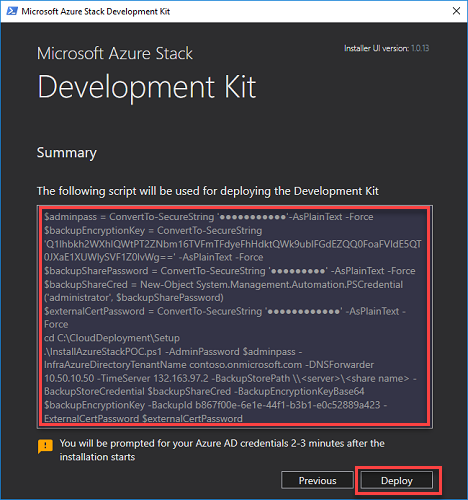 $decryptioncertpassword  = Read-Host -AsSecureString -Prompt "Password for the decryption certificate"
After a successful cloud recovery deployment, you need to complete the restore using the Restore-AzureStack cmdlet. Azure Stack deployment does not persist the decryption certificate for security reasons. You will need to provide the decryption certificate and associated password again. $decryptioncertpassword = Read-Host -AsSecureString -Prompt "Password for the decryption certificate"
Wait 60 minutes after calling this cmdlet to start verification of backup data on the cloud recovered ASDK.